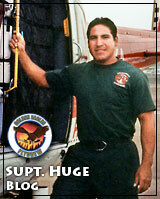 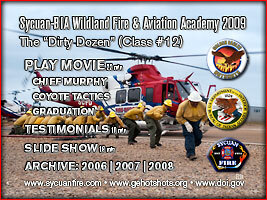 The SYCUANFIRE.COM and GEHOTSHOTS.ORG Web sites were expired in 2010  I am archiving a few of my fire academy movies here for CHIEF MURPHY and participants. 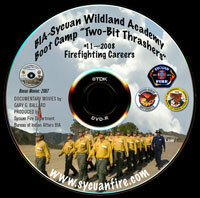 FIREFIGHTER "BOOT CAMP" 2006, 2007, 2008, 2009, 2010, 2011 Wildland Academy Short Films Videos Movie DVDs, providing on-line professional multi-media journalism DVD PUBLISHING documentaries, Blu-ray, AVCHD, HDV video, photography, journalism, safety-training videos for Web education, public service announcements PSA, employment, career training and entertainment serving the local Southern California communities of San Diego County, Los Angeles County, Orange County, Imperial County and everywhere there is a threat of fire across the nation, United States of America, Canada and Mexico. 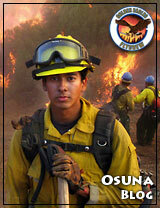 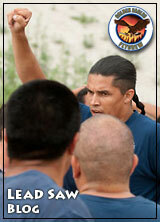 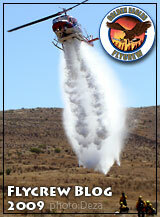 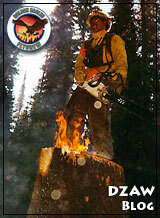 The 2010 wildland fire academy was canceled. 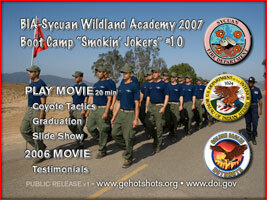 NOTE: These DVDs, graphics and websites were produced 100 percent in-house by Gary G. Ballard, an independent multimedia photojournalist and Final Cut Pro consultant in San Diego, Calif.
Website, blogs & DVD produced by G. BALLARD. 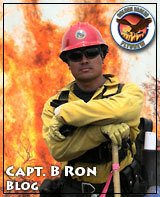 ACADEMY History, Curriculum, Certifications, Mission, Purpose, Application Procedure, Requirements, Indian Preference, Contact, Selection Process, Tuition Costs to attend the fire academy. 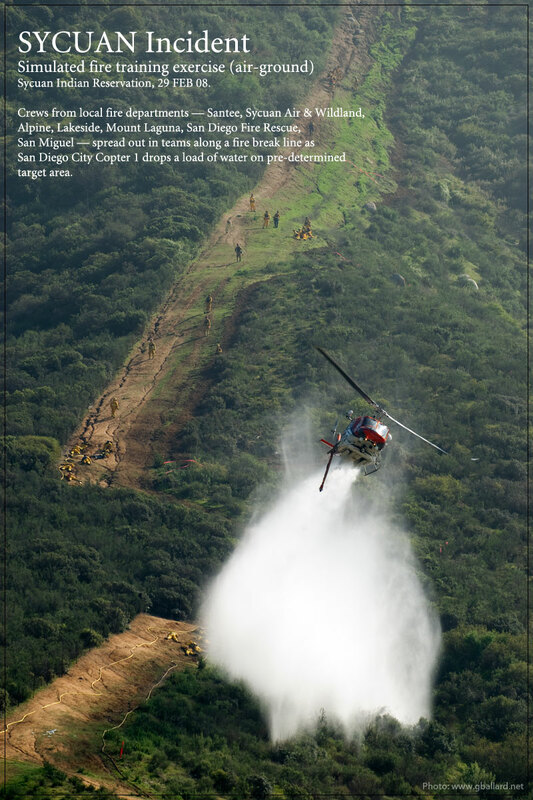 The Sycuan Fire Department and the Bureau of Indian Affairs BIA team up to host the BIA-Sycuan Wildland Firefighter Academy, held annually on the Sycuan Indian Reservation, San Diego County. 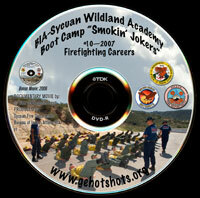 These 2006 2007 2008 2009 professionally-produced, boot camp documentary movies and DVDs go deep into the wild land fire fighting academy's militaristic training and discipline philosophy with full-length feature movie, and short video movies to watch online. 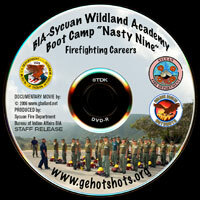 Former Marine Corps DI (professional drill instructors) take charge of 30 individual civilian recruits, weed out the best, and transform them into a team of gung-ho can-do fire fighters -- from check in to graduation -- the school experience is physically and mentally challenging, and uses a steep 800-foot California mountain as a metaphor to overcome and conquer personal preconceived notions of endurance through teamwork, camaraderie and fierce group evolvement. 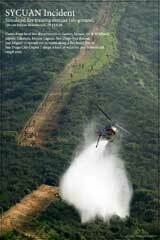 Fire training movie includes extended motion picture sequences on "MF" Mountain, and Coyote Tactics night operations cutting line all night long. 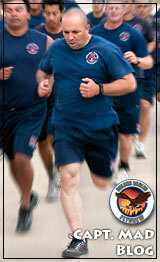 BROADBAND (cable/DSL) and QuickTime required to view free .mov movies.